The newbuilding mega cruise ship Norwegian Joy caught fire at Meyer Yard in Papenburg. The vessel is under final stage of construction in building hall II at the shipyard, but the manifold inflamed and caused a lot of smoke inside. The fire alarm was activated and at the scene of the incident were dispatched local firefighting brigade, which succeeded quickly to extinguish the flames. All the workers in the dock were evacuated outside, as the smoke continued for a while and engulfed the whole building. 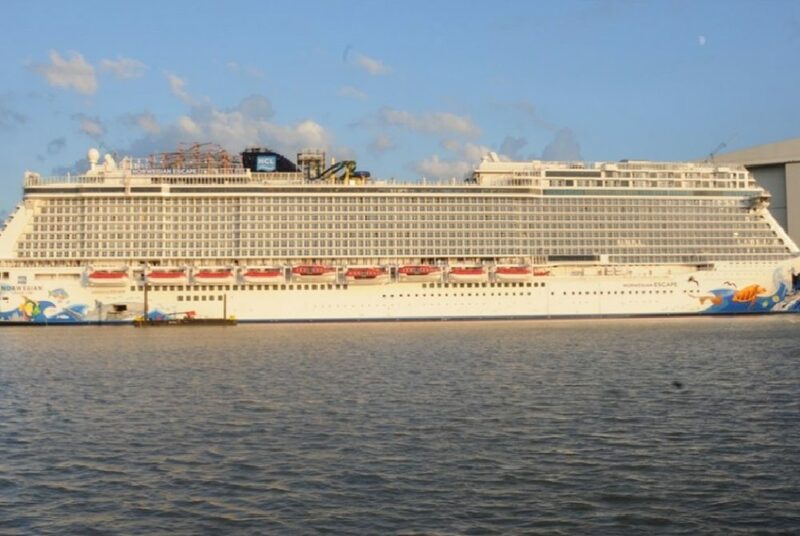 The 45-meter-wide goal of the building dock was opened for ventilation and the work over the mega cruise ship Norwegian Joy has been temporarily suspended. The damages caused by the fire were assessed later and estimated to around 50,000 EUR. Fortunately during the accident there were no injured people. The investigation for the root causer of the fire is under way. The mega cruise ship Norwegian Joy (IMO: 9703796) is Breakaway Plus class and scheduled for delivery in Spring 2017. The delivery date will not be affected by the fire. The cruise vessel has overall length of 325.90 m, moulded beam of 41.40 m and maximum draft of 9.00 m. The ship has gross tonnage of 168,800 GRT with capacity for 3,900 passengers and 1,700 crew. The mega cruise ship Norwegian Joy will be driven by two ABB Azipod XO units with total power of 40 MW. The main engines on board are two MAN B&W 14V48/60CR, each with power of 22,520 hp and three MAN B&W 12V48/60CR, each with power of 19,300 hp.